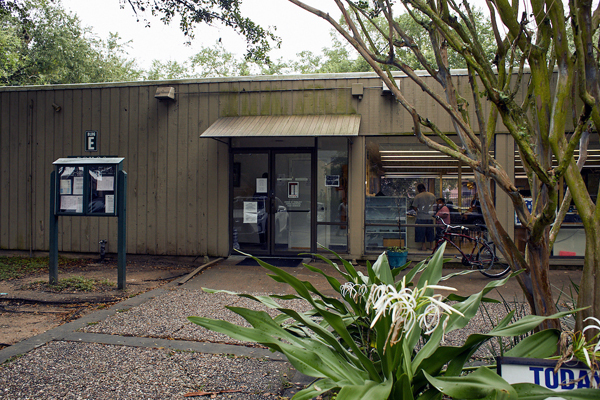 In 2001, in response to the dramatic change in southwest Houston’s demographics the parishioners of the Episcopal Church of the Epiphany established Epiphany Community Health Outreach Services (ECHOS). To this day ECHOS remains a ministry of the church and the Episcopal Diocese of Texas. ECHOS became s a non-profit corporation in 2001. The doors opened to provide health and social services to the growing population of immigrants and refugees living in the area surrounding the Church. Since 2001, families have been coming to ECHOS to access healthcare and social services. During the first full year of activity, some 150 client households were reported to have visited the ECHOS campus for services. The primary service received was assistance in applying for State of Texas Medicaid programs and the Harris County Hospital District Gold Card (now Harris Health Systems Financial Assistance Program). more than 13,000 individuals were fed at our twice monthly Food/mini health fairs. ECHOS welcomes other agencies, healthcare providers who provide direct services for the clients that we serve, or who seek to research health care issues in a medically and socially vulnerable community. List of partners. We work closely with the University of Texas School of Public Health, Baylor College of Medicine, Pro Salud, Juno Research and the McGovern Medical School. Altogether, we partner with 29 agencies and non-profit organizations from the Greater Houston Community. The Church of the Epiphany Opened the Doors of ECHOS. ECHOS is located on the church property. A food pantry continues to provide non-perishable food to an increasing number of people who are impacted by the employment downturn. Other forms of assistance such as classes for English Language Learners and computer literacy, domestic violence support groups continue on a regular basis. Medicaid, Harris Health FAP (Gold Card) application assistance and follow-up remain our core service. Other forms of assistance such as classes for English Language Learners and computer literacy, domestic violence support groups continue on a regular basis. Medicaid, Harris Health FAP (Gold Card) application assistance and follow-up remain our core service. Services are provided free of charge and without restrictions to all who come through the doors of ECHOS, regardless of age, ethnicity, language spoken, documentation status or sexual orientation.